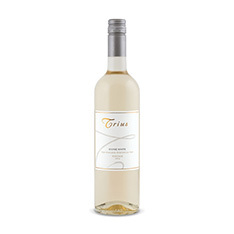 This quirky blend-o-rama offers a pretty nose of apricot, citrus, flowers and lychee, with wisps of exotic spice. It's dry, smoothly textured, and shows a tangy balancing acidity. A lovely wine to sip on its own, or pair it with pad Thai.